The Goldwater was proud to see its merchandise now also showing up on online auctions like eBay for the very first time. Just in time for the holidays you could conclude, so if you do not know what to offer your loved ones and want to rouse some political debate around the Christmas table without necessarily having to bring up Trump by yourself to your more liberal family members, you can always just give them merchandise from a nationalist, rightwing website known for its pro-Trump stance. Our limited edition ‘Covfefe’ mug for when you want to start a conversation about what you believe President Trump really intended to type when he tweeted out the now famous unknown term. We’re sure you’ll find something good on there. 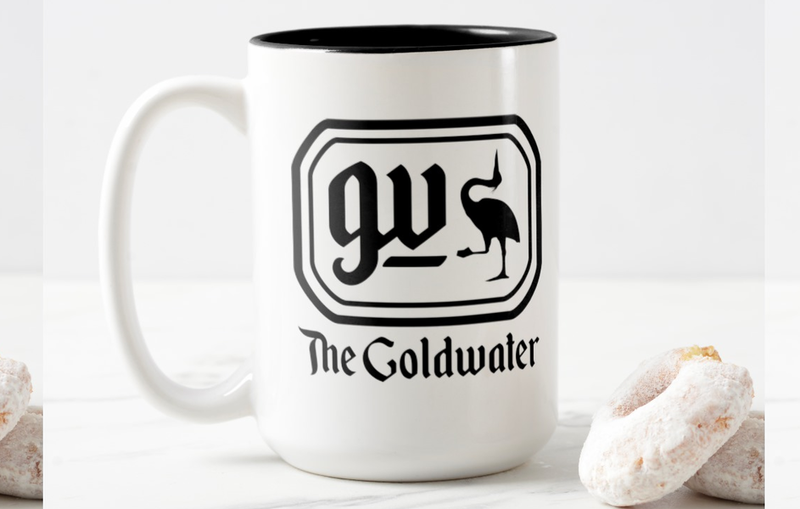 If you want to support The Goldwater and guarantee our continued operations to bring you the news you like and the MSM won’t report, be sure to buy our products. The libs in my family know not to engage me in political discussions. Lol nice! I definitely want to pick some stuff up. The covfefe mug and 1st amendment shirt are at the top of the list but maybe a zippo down the line too. The one liberal in my family has a wife that makes sure he keeps his mouth shut come the holidays, but my wife also tells me to not bring anything political up around her dad.